What should you charge for your product? Are you looking to create a low-priced item you can sell as a loss leader to bring in new custom­ers? Or are you looking to create a high-priced back-end product to sell to your existing customers? To me, it’s more rewarding to command a higher price, charge premium fees, and get paid very, very well for what you sell. Especially if you’re in a service business, competing on price means you work harder to earn less. Who wants that? But in a competitive world where many other businesses seemingly offer products and services similar to yours, how do you command a premium price? There are five factors you can control or exploit to enable you to charge a much higher price than your competitors in virtually any field — and have more customers than you can handle waiting in line, cash in hand, to pay it. The first factor is supply and demand. According to simple economics, the greater the demand for something and the more limited the supply, the more the seller can charge and get paid for it. Since you’re not OPEC, you probably can’t control the supply of your product or service, so what you have to do is create an overwhelming demand for you, your product, or your service. Perhaps the easiest way to do this is to position yourself as the pre-eminent expert or authority in your field. If people view you as the guru in property taxes, hazardous waste cleanup, or whatever your field is, they’ll come to you first, knocking each other over to hire you instead of your lesser-known competitors. The second factor you can control is your market niche. As a rule of thumb, the narrower your market niche, the more you can charge. Specialists can always charge more than generalists. If you’re a marketing consultant handling any small business clients you can get, you have lots of competition and great difficulty commanding a premium fee. On the other hand, if you specialize in the marketing of accounting practices, accountants will pay a premium to get your advice because it applies to their own situation. The third factor you can control is value. If your competitors all sell audiobooks with six CDs for $79, and you want to charge $300 for six CDs on similar topics, why should the buyer pay it? You could include a CD with related software programs (e.g., if the album is about time management, the CD could contain a personal day planner). The material cost is only a dollar or so per CD, but the perceived value of software is easily $100 or more, enabling you to charge a premium price for your package. 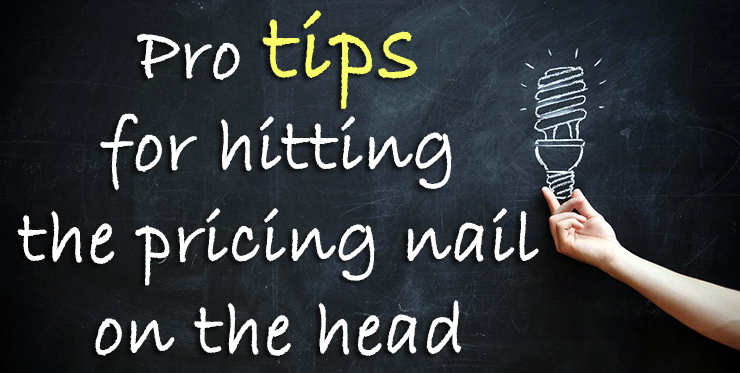 And that’s the trick: to add extras that have high-perceived value but don’t cost you much. In addition to high-perceived value, look for premiums that are unique. The Sovereign Society, a newsletter on offshore investing, had great success offering new subscribers an unusual premium: their own Swiss bank account. The fourth factor you can control is ROI. If you design your product or service so it generates a large ROI that’s easy to see and measure, it’ll be much easier to sell at the price you want to get. For example, $200 for a high-tech thermostat may seem like a lot of money, but not if the manufacturer can prove that installing the thermostat will save the homeowner $300 to $1,000 a year in heating and air conditioning costs. The fifth factor you can control is customers’ concern about whether they’ll be satisfied with your product. You can control this by offering a money-back guarantee. Guarantees overcome sales resistance. If you guarantee customers will be happy and you’ll refund their money if they’re not, they’ll be more willing to pay your price, no matter what it is. Most people won’t take unfair advantage of your guarantee. If you sell a quality product, accurately described in your marketing, at a price that’s fair in relationship to its value, your return rate will be low — probably less than 5 percent. That still means 1 in 20 will ask for a refund. Give them back their money promptly and with good cheer. Few things will cause more customer dissatisfaction and ruin your reputation faster than being difficult, adversarial, and uncooperative when people believe what you said in your guarantee and take you up on it. Don’t get angry with these folks. Returning the product is their right — and part of your cost of doing business. And there you have it. Increase demand for your product or service, target a vertical market niche, add value, generate a good ROI, and guarantee satisfaction, and customers will gladly pay your price, even if it’s 50 to100 percent or more above what your competitors charge.